If you were of the impression that sharp-end F1 results were getting a little samey in recent times, that's because they were. We hadn't a first-time Grand Prix winner for over two and a half years (since Mark Webber took his debut win, in Germany in mid-2009), and this at 49 races was the longest wait for a 'new' winner in the sport's history. No car other than a Red Bull, McLaren or Ferrari had won since the September of that year (when Rubens Barrichello took the flag at Monza for Brawn). Indeed, no non-member of the 'big five' as it were (that's Vettel, Webber, Button, Hamilton and Alonso) had won in that time either. And from the third race onwards last year, no one outside of that bunch even made the podium in 2011. Well, it looks like that's changing and then some. After Sergio Perez broke the podium run in Malaysia, Nico Rosberg and Mercedes in China ended the run without a new winner, in so doing making it three different drivers and teams winning the three rounds so far. And this has only been the thin end of the wedge: lap times across the order have definitely become much tighter this year. This is explained by a few things: Red Bull, with the passing of the aggressive exhaust blown diffuser, has been reigned in somewhat, and many teams behind have got their act together. This has most notably been the case with Mercedes and Lotus, who in ideal conditions seem to be pretty much on the front runners' pace. But much of the midfield, such as Williams and Sauber, have also made a definite forward strides. This is often the case in seasons with relative rule stability from the year before - teams behind can more easily learn the lessons of what is making the front runners quick, and adapt accordingly. And of course, the front runners' learning curves are shallower (it's therefore ironic that F1 tends to try to create a more competitive order by changing the rules). And the effects of this was seen in China. In the second qualifying session the top ten's quickest times were covered only by a quarter of a second (Vettel missed out famously, but was only three tenths shy of topping the timing screens). And second place downwards seemed line astern for pretty much the whole race distance (with no mitigating circumstances like saftey cars or adverse weather), and at the end Jenson Button in P2 was only 22.1 seconds clear of Massa in P13. That's the difference between being on the podium and everyone being your friend, and having everyone speculate about your dismissal! In other words, we can expect lots of competitive racing in 2012, and that even the slightest error will likely be punished ruthlessly. On the subject of mistakes being punished ruthlessly, it might be that the Pirelli tyres are (pardon the pun) compounding the problem. Kimi Raikkonen in the China race dropped like a stone from P2 to P14 in the final handful of laps. The assumption was that this was explained by his tyres 'falling off a cliff' given he was on a 'longer' two-stop strategy. But if this was the case it was odd given that his team mate Romain Grosjean and both Williams (and indeed Rosberg) were on a similar strategy and had no such problems (and Bruno Senna's tyres were only a lap younger than Kimi's). But, Kimi's drop off the pace started with his running wide onto the plentiful marbles at turn 7 and I did wonder at the time, rather than that being an effect of tyres troubles, it was instead a cause in that it put his tyres out of their operating window and he was never able to get them back. With that in mind I was gratified to hear that Peter Windsor had talked to a Lotus engineer after the Chinese race and had this 'marbles' explanation confirmed. Indeed, this may also explain what happened to Alonso's pace after he made a similar mistake at the same corner in his final race stint. For most of the distance he ran in close proximity to the likes of Hamilton and Webber and seemed well capable of running at their pace, but while they went on to finish third and fourth, Alonso made almost no progress after his run over the marbles and trawled in ninth. 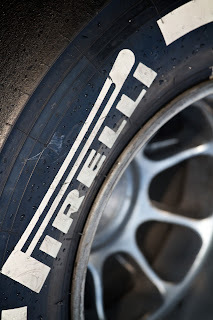 It seems therefore that this year's Pirellis are a delicate, sensitive commodity, and that once you lose them for whatever reason getting them back may be easier said than done. 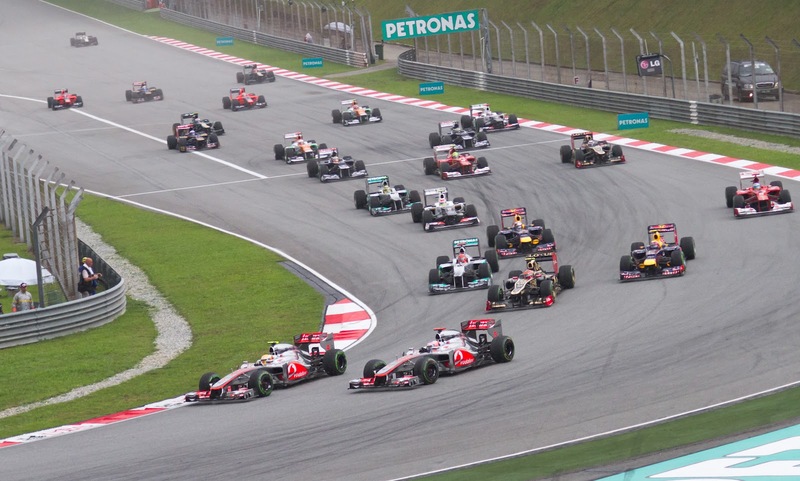 Much more than we've grown used to in recent times, F1 drivers' mistakes may be punished this year. The Mercedes was the talk of the paddock in China, and not just because of their pole and win. The controversy regarding their DRS-activated front wing f-duct (to give it one of its many titles), helped by incessant muttering from the vague direction of certain teams in the first two rounds, finally got some closure. Lotus stuck their head above the parapet and protested the device, a protest which was thrown out by the race stewards. So it looks like the device is here to stay, for this year at least. Of course, F1 design is all about stretching interpretation of the rule book as far as you can to your advantage, so kudos to Mercedes for doing so. And having the thinking and confidence to produce such a system, as well as to defend it, may offer a little insight as to how the team have bounced to the winners' circle so quickly this year. And in an another time-honoured facet of F1 design, all of Mercedes's rivals will now honour the system by imitation presumably. While its importance to Rosberg's win in China may be overstated (he can't have used the thing much on race day), it seems to offer an advantage on a qualifying lap. The Mercedes visibly use their DRS for more of their flying laps than their rivals do, the main advantage of the system it seems is to improve the car's balance with the DRS activated. And as we saw repeatedly last season, if you lead from the start you're in a position to control the race. 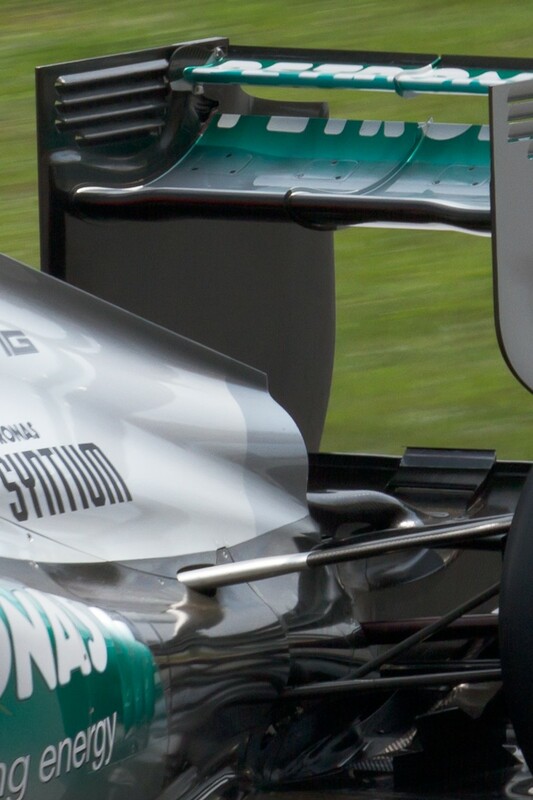 So, now it's matter of how quickly other teams can get the device onto their machines, as well as whether, with the system added as an afterthought rather than a fundamental part of the design concept, they can get it to work as well as on the Merc. 'The reports of my death are greatly exaggerated'. This was said famously by Mark Twain, upon hearing that his obituary had been published in the New York Journal, somewhat prematurely. 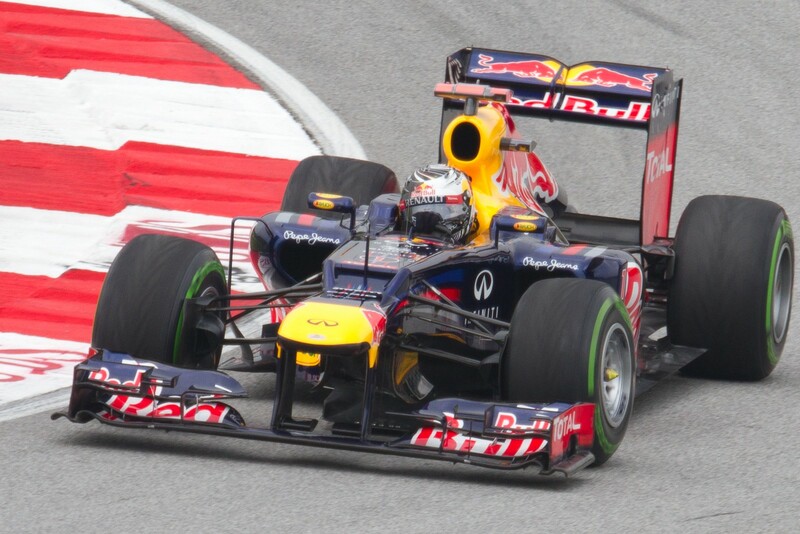 F1 'obituaries' for Sebastian Vettel have been in rather regular supply post the China race, he having been out-qualified by team mate Mark Webber three times out of three so far in 2012, as well as is languishing in fifth place in the drivers' standings (also behind Webber). It appears the case that the passing of the exhaust blown diffuser, as well as impeding Red Bull especially as mentioned, seems to have negated much of Seb's successful qualifying technique of last year. And it has also moved the Bull's handling more in Webber's direction apparently (see this article by Mark Hughes for the lowdown). This has resulted in plenty of 'Seb can only do it when leading and in dominant cars' comments, with even a Renault engineer saying Webber's ability to adapt to different handling circumstances is superior to Vettel's. But, just as with Mark Twain, surely Seb's obituaries are premature. We shouldn't forget that Vettel ran ahead of Webber for almost all of the first two races and, until he tagged Narain Karthikeyan in Malaysia, had driven as well as ever in both. While in China, after being squeaked out of the top ten in qualifying and then having a poor start, he was in P15 on lap one. That he was in second place in the late laps is indicative of a strong drive, and only late-lap tyre drop off resulted in his sinking to fifth place. And but for the Malaysia clash he'd be third in the drivers' table, only five points off the top. If he's doing this even with the problems outlined above then he must have something going for him. And yes, Seb's 'had a face on him' this year, but that's a good thing in a lot of ways. I'd be more worried if he was happy at not having his previous dominance level. With all of this in mind, I'm not betting against Seb re-asserting himself, on Webber and everyone else, in rounds to come. Some light relief to finish with. A big well done to Chinese television for getting all six world champions in F1 into a TV studio at the same time. The problem is, none of them are fluent in Mandarin (to my knowledge). One way of solving this situation is have an interpreter stand behind them and shout their answers, in the local lingo, to the viewers live. However, that may be annoying. Especially if you're an F1 world champion. Watch the below to see them do their best not to look perturbed.